Click here to sign-up to our weekly news letter! We are hoping that you have been enjoying our 11+ series with Chiltern Chatter. If you have missed any of our previous articles you can find them here. Over the last few months we’ve shared our tips on tackling English, verbal and non-verbal reasoning, and this month we are focusing on maths. The Buckinghamshire Eleven Plus tests include a range of mathematical questions based on topics from the year five National Curriculum. Perhaps the biggest challenge for students sitting the test is the speed at which they need to calculate their answers. The added novelty of a multiple choice answer sheet means that it is essential that your child is confident and capable of working quickly and under pressure. Problem solving: able to process written information and establish which operation(s) are needed to reach the answer. 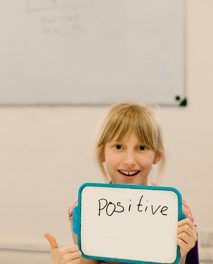 In order to feel confident on the day, it is important that your child has an idea of what to expect and the best way to do this is to practise answering different question types in a style and of a difficulty level similar to the 11+ tests. At this stage, your child should be doing regular practice of a range of maths topics, as well as frequent, short bursts of activities to test mental recall of maths facts. E.g. times tables. Introduce timed exercises and practice tests when you feel your child is ready. This might be now or it might be a few months before the tests – it depends on how confident they are across the board with their maths topics. Introducing timed tests too early may dent your child’s morale so make sure you start off gently – perhaps with a series of short timed exercises before moving on to longer tests. Remember too that maths is only one part of the Bucks 11+ test (about 30 minutes) so many of the maths test papers on the market are considerably longer than the maths section they will face on the big day. If you’re looking for resources, there are a variety of year five maths study and practice books to choose from and there are plenty of GL Assessment style maths tests available to purchase for practice at home. Don’t be tempted to buy every resource you can find, though! It’s important to take a balanced approach and make sure your child has plenty of time to pursue other interests too. Where possible, help your child to build their skills whilst having fun. Can maths be fun? At Flying Start we think so! Everyday activities like shopping and cooking are a great way to bring maths alive and there are plenty of board games and websites that will develop mathematical skills in a fun way. How about setting a family challenge, such as a times tables speed test or maths games tournament? Activities such as these will break up the more formal Eleven Plus preparation and play to your child’s strengths if you find activities that take into account his or her preferred learning style. When the time comes for a more formal approach, a Flying Start Mock Test Experience will help to familiarise your child with questions in a similar style to the Bucks GL Assessment 11+ test. Our experience days include an afternoon pupil feedback session in which students review their test papers in small groups with our friendly team. 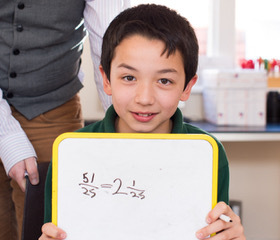 If your child could do with some extra help to raise their maths skills to the required level, Flying Start Tuition’s holiday Booster courses are just the ticket to get them up to speed. For some realistic mock test practice at home, our Mocks in a Box are available to purchase here. For the National Curriculum programmes of study for mathematics, click here.